In 2008 the Launceston Football Club was inducted into the Tasmanian Football Hall of Fame as a Great Club. The following players who played or coached for Launceston, have also been inducted into the Tasmanian Football Hall of Fame. A defender of exceptional quality, Algernon ‘Algy’ Tynan was an institution at the Launceston Football Club on either side of the First World War, and one of the most accomplished carnival players Tasmania has produced. Beginning his career with Launceston in 1905, Tynan had soon sown a reputation as one of the state’s finest defenders, and was chosen in Tasmania’s squad for the inaugural National Carnival in Melbourne in 1908 under Jack Gardiner. He performed admirably, and a year later he coached Launceston’s 1909 premiership side in his first year in the role, the first flag Launceston had captured in nine years. His stature in the game reached its peak after the 1911 Adelaide Carnival, when, after leading a resolute Tasmanian defence that conceded only 32 goals in four matches, he was named as the ‘best full back in Australia’ in a pseudo ‘All-Australian’ team. After further premiership success with Launceston in 1913 and a third and final Carnival appearance the following year, the First World War forced Tasmanian football – and Tynan’s career – to grind to a halt. Tynan enlisted and joined the 12th Australian Infantry Battalion, initially as an acting sergeant and later rising to the rank of lieutenant. Serving on the western front, Tynan was awarded the Military Cross for gallantry in October 1917, and after the war would remain heavily involved with the RSL. Tynan was discharged in 1919 and resumed his football career, continuing to be a key member of the Launceston side. He ended his playing career with a third premiership in 1920, his only flag purely as a player. 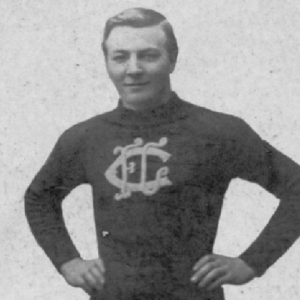 Over his 16-season, 200+ game career with the Blues he received numerous awards and recognitions, was coach or captain-coach on three separate occasions – including two years in 1922-23 after his retirement from playing – and was a regular NTFA representative, playing intrastate matches for nine consecutive seasons between 1908 and 1919 (not including the war-enforced gap) and captaining the association side in 1913 and 1914. Post-retirement, Tynan served on the committee of the Launceston Football Club and held the position of treasurer for a time, ultimately being afforded life membership of the club he had served so well for so long. 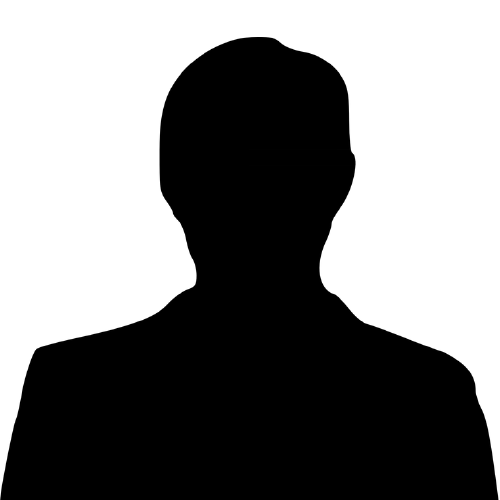 He later moved to the south of the state and was involved with the Franklin Football Club in the Huon Football Association, and was serving as vice-president when the club won the 1932 Huon FA premiership. Tynan passed away in 1974 aged 85, and at the time of his death he was the last surviving member of Tasmania’s inaugural Carnival team from 1908. There have been 153 VFL footballers who have given their lives in the service of their country, and there would be very few more popular or respected by the football community than George David Challis. A wingman of supreme skill and athleticism, Challis had achieved a reputation as one of the finest footballers of his era by the time his career, and ultimately his life, were cut short by the First World War. Challis was born and raised in Cleveland in the Tasmanian midlands, the oldest of eight children. An outstanding student, he received a scholarship to Launceston High School, and excelled both academically and athletically. He began his football career at the Launceston Football Club in 1909, and in his first season he made a huge impression, starring in the Blues’ NTFA premiership and representing the NTFA against the TFL for the first of what became three consecutive years. In 1911 he was selected to represent Tasmania at the second Australian Football Carnival in Adelaide, where he would emerge from the tournament as his state’s stand-out performer, winning the Bibby Trophy as recognition of that fact; this was no mean feat in a team containing other legends such as captain Jack Gardiner and champion full back Algy Tynan. Challis’ performances at the carnival immediately caught the attention of every VFL club, and it was Carlton who swooped on the talented 22-year-old. 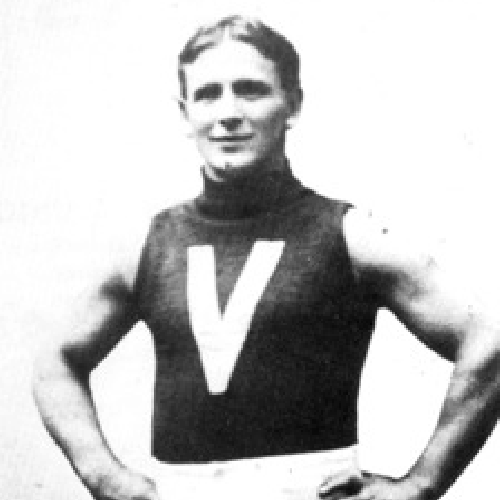 Challis, who had graduated from university with a teaching degree and taken a position at his old high school in Launceston, saw the opportunity to enhance both his professional and sporting careers with a move to Melbourne, and so relocated to Victoria, making his VFL debut for the Blues in the first match of 1912. He would play all 20 games for the season, including the Blues’ shattering four-point preliminary final loss to Essendon, and would also gain representative honours as part of Victoria’s interstate team. By season’s end many observers were heralding him as one of the best players in the league, an especially impressive feat considering he had undergone the transformation from rover/half forward flanker to a wingman of singular prowess. While his skills dazzled any who saw him play, his outwardly friendly and pleasant demeanour added yet still to the young man’s popularity within the football community, leading some to dub him ‘Cheerful Challis’ and ‘Genial George’. On field, Challis’ star continued to shine brightly through 1913-14. Unfortunately, the popular star missed the Blues 1914 premiership through injury, however the following year he was back and better than ever, and was reckoned by many to be best afield in the Blues’ 33-point premiership win over Collingwood. That success would turn out to be Challis’ 70th and final game for the Blues, as shortly after that triumph Challis was on a troop ship bound for the Western Front of the First World War. Ironically, if Challis has had his way initially, he would have missed the 1915 premiership as well – he had tried to enlist soon after the outbreak of hostilities, but had been rejected on physical grounds as some of his toes overlapped. Eventually, with the demands for fighting men reaching epic proportions, Challis’ minor physical ailment was overlooked. 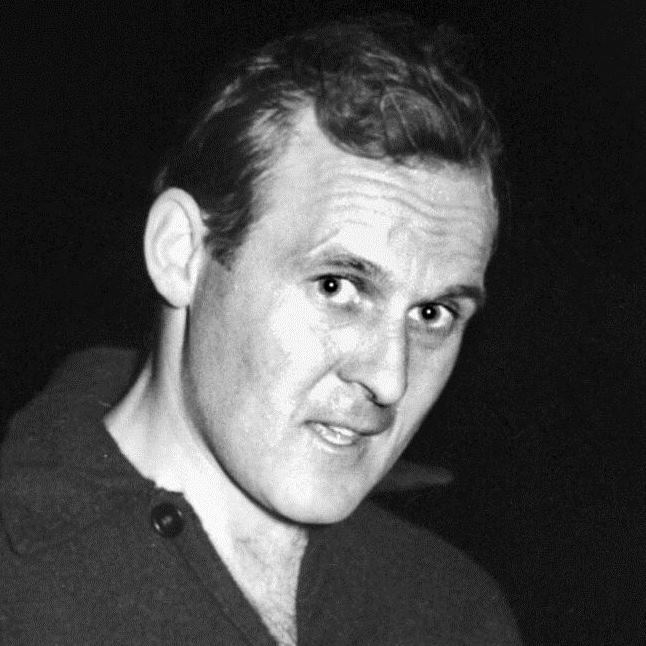 George Challis was without question one of the most talented and popular footballers from Tasmania to have played the game at the highest level, and even a century after his death his name is still a revered one both within the Carlton Football Club and the Tasmanian football fraternity. In a golden era for the Launceston Football Club, Roy Cooper was one of their finest performers. A scrupulously fair player who was also fast and untiring, Cooper made his senior debut in 1930 and soon became one of the club’s main contributors during the golden era of the 1930s under Leo McAuley. Cooper played in eight NTFA grand finals for seven premierships and could also boast five state premierships from six attempts. A Best and Fairest winner in 1934 and a regular NTFA representative over his 12-season career, Cooper was named on a wing in the Launceston ‘Team of the Century’. 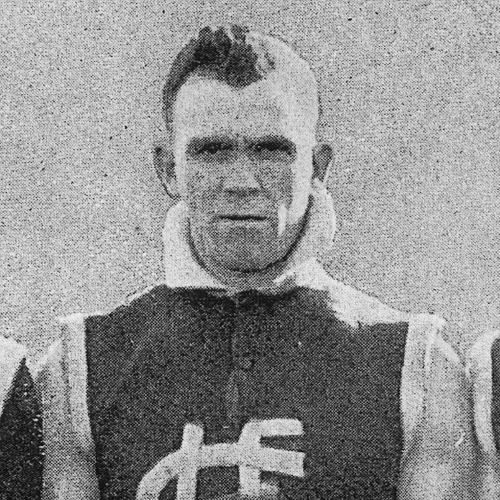 One of the most successful coaches in the first 50 years of Tasmanian football, Leo McAuley led Launceston during the greatest era in the club’s history. Joining Launceston from South Launceston in 1924, McAuley enjoyed a highly successful playing career with the Blues, playing in three NTFA flags between 1924 and 1929. Halfway through 1933 he succeeded Ken Roberts as coach and led the Blues to the NTFA-state premiership double that season. McAuley remained as coach for the following three years, guiding Launceston through an era of unprecedented dominance and cementing his legacy at the club. Launceston won four consecutive NTFA flags between 1933 and 1936 and secured a hat trick of state premierships between 1933 and 1935, before losing the 1936 state final to North Hobart. 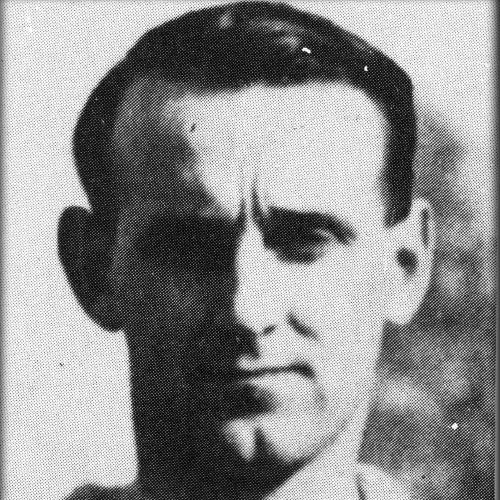 McAuley retired as both player and coach at the end of 1936 after a then club record of 203 games, the first player in the history of the club to record 200 senior appearances. McAuley’s contributions to the Launceston Football Club have been much celebrated since his legendary tenure. He was awarded life membership of the club in 1934 and NTFA life membership three years later, while more recently his incredible coaching record led to his appointment as captain-coach of the Launceston ‘Team of the Century’, where he was also named in a back pocket. 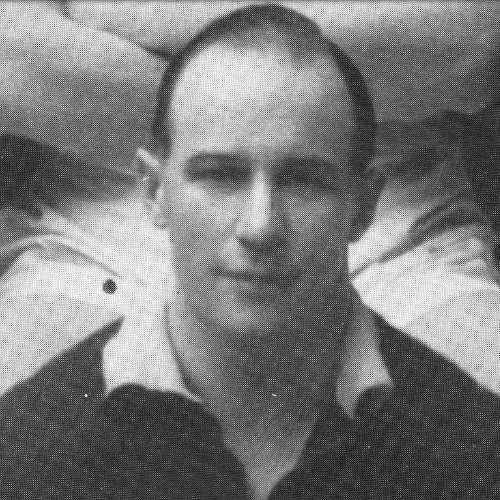 Jack Donnelly’s service to football stretched from the mid 1930s up until his professional retirement in 1980. He continued to follow the game with a passion until his death. 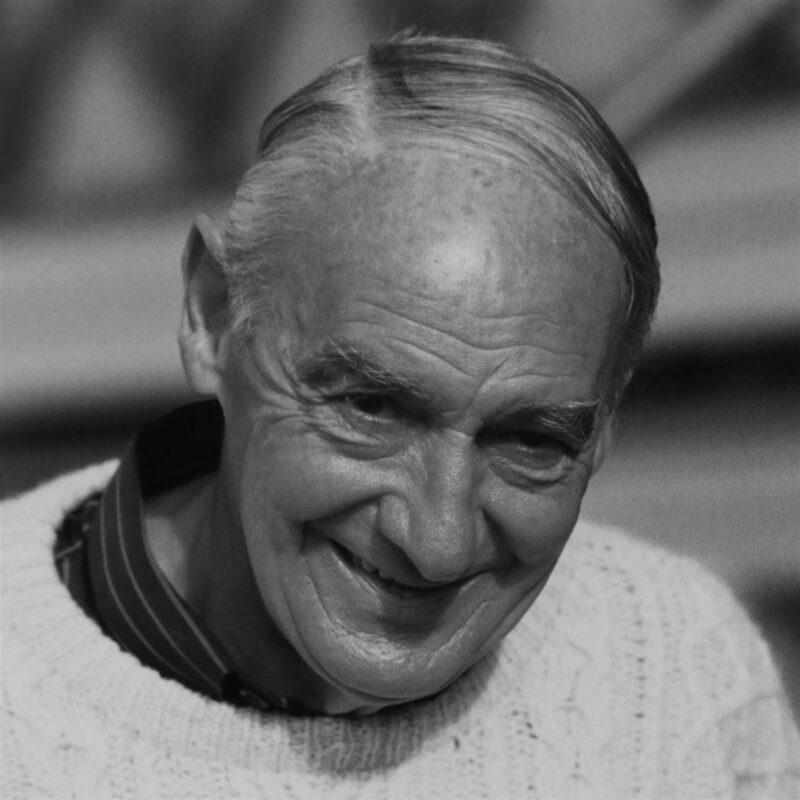 Donnelly was a prolific writer who covered the national carnivals and also contributed to the story of Tasmanian football through his writing of the 1947 carnival program and his work with the Victorian based Sporting Globe. 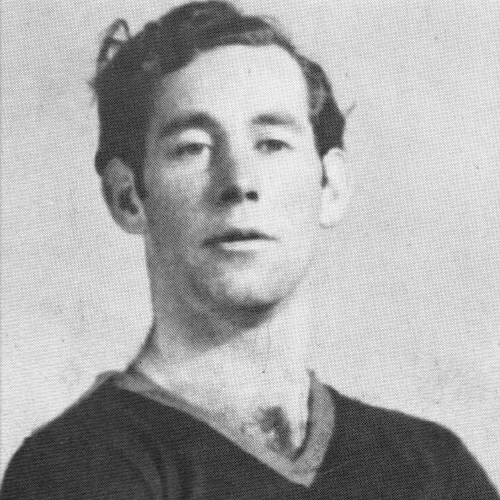 Donnelly was also a handy player and sportsman in his own right, having played in a senior North West premiership with Burnie before moving to Launceston to work for The Examiner, where he became best known as ‘Half Back’ to all Tasmanian football followers. 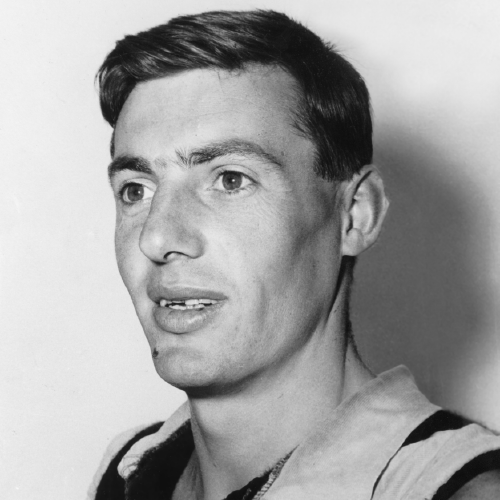 A supremely skilled and highly versatile player, Bob Withers was a star of NTFA and interstate football throughout the 1960s. After hanging up his playing boots he became one of the most prolific coaches in the history of Tasmanian football, spending 17 seasons as a senior coach with four clubs. 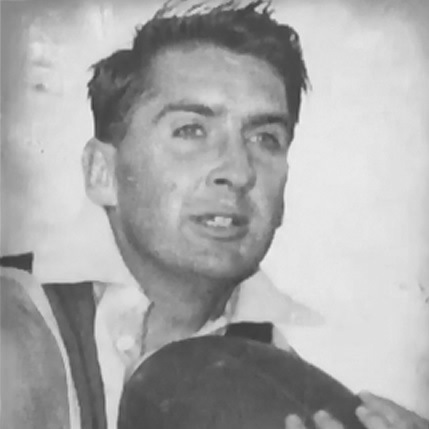 Born in Victoria, Withers first played football with the South Melbourne Fourths in the VFL and was captain of their undefeated premiership team of 1949. In 1950 he moved to Port Melbourne in the VFA, starting in the thirds and gradually working his way up the ranks. He finally made his senior debut in 1951 and would go on to play 137 games for the club from 1951-1959, including the 1953 premiership. He would also gain VFA selection during this time, representing the Association every year from 1957-59. 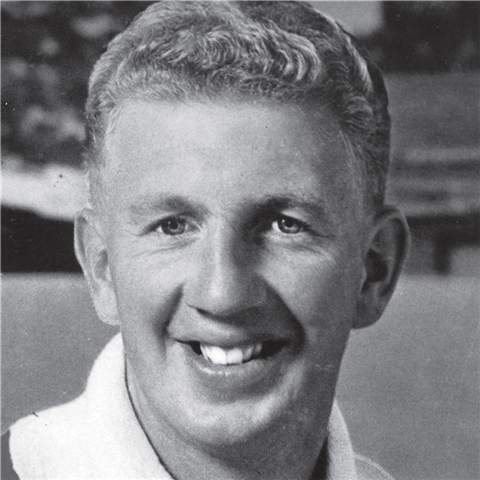 Withers moved to Tasmania to take up the role of captain-coach with North Launceston in the NTFA in 1960. In his first season the Robins played off in the grand final but were beaten by a strong City-South side, while Withers himself was awarded his first Tasmanian interstate jumper in the legendary seven-point victory over the VFL at York Park. The following year saw the first of Withers’ two premierships with North Launceston, Withers himself emerging the match winner. With his side five points down deep into the final quarter against Longford, he took a controversial mark inside 50 and calmly slotted the goal to give his side a heart-stopping one-point victory. 1961 also saw Withers achieve arguably the greatest accolade of his career when he was named All-Australian after a sensational 1961 National Carnival in Brisbane, the only Tasmanian to be recognised. Withers’ second premiership in 1963 was almost a carbon copy of the decider two years earlier, with North Launceston again triumphing over Longford, this time by just two points. Withers also represented Tasmania on a tour of both South and Western Australia during this year, emerging from the tour as the recipient of the Lefroy Medal as his side’s stand-out performer. After the Robins’ 1967 grand final loss to East Launceston Withers resigned as coach of North Launceston and retired as a player. In eight seasons as captain-coach of the club Withers had played 165 games, cemented himself as one of the finest players in the state and guided his side to seven finals appearances in eight attempts for five grand finals and two premierships. He had also represented his state on 15 occasions and the NTFA for seven consecutive years between 1960 and 1966, yet amazingly never won a club Best and Fairest award. 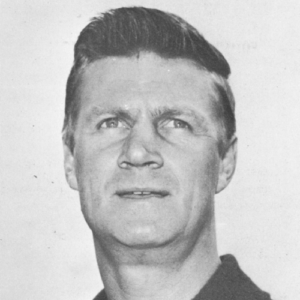 In 1968 he joined Launceston as coach and the following season led the Blues to a premiership, the club’s first since 1951. He departed the Blues after that triumph and spent 1970 as an assistant coach under Jack Clarke at Essendon in the VFL. He returned to Tasmania the following year to once again coach Launceston, but there would be no further premierships and Withers left to join Devonport in the NWFU ahead of the 1975 season. Half-way through 1976, Withers was deposed by the club’s board, prompting him to take a temporary break from coaching. He spent 1977-78 in the commentary box calling NWFU matches for radio, but returned for one final challenge as a senior coach, taking charge of East Devonport for a one-year stint in 1979. His contribution to the NTFA over nearly 15 years was honoured when he was inducted as a ‘Living Legend’ of the NTFA. A courageous, strong-marking full forward, Craig Davis could easily lay claim to being one of the most well-travelled Tasmanian footballers to have ever played in the VFL/AFL, while his influence in the development of the game post-playing career cannot be overstated. Born in 1954, Davis’ footballing bloodlines could hardly have been better. His father Bob ‘Boofa’ Davis and uncles Darrel, Kevin and Neville Crosswell had all had distinguished careers with Launceston and Ross during the 1950s. Likewise his cousin Brent Crosswell played in VFL premierships with Carlton and North Melbourne in the 1960s and 1970s and achieved legend status in the Tasmanian Football Hall of Fame. Like most of his family, Davis’ own football journey began with Launceston in the NTFA, where he made his senior debut aged 17 in 1972. After only one season his talent was attracting interest from the VFL, and in early 1973 Davis joined Carlton, making his debut in Round 14 against Hawthorn at Glenferrie after some outstanding form in the reserves. Indeed, he finished runner-up in the reserves Best and Fairest count. Despite playing only five games for the season Davis would play in all of Carlton’s three finals matches, including the Blues’ grand final loss to Richmond. From 1973-75 Davis would play 42 games for the Blues and kick 72 goals, including 45 goals in 1974 to top the Blues goalkicking table ahead of such names as David McKay and Robert Walls. A promising career seemingly lay ahead of Davis, however tragedy struck during a pre-season match in 1976, with Davis badly injured after an opponent’s knee collected his head in a marking contest. Diagnosed with deformed blood platelets, doctors informed Davis it would be unwise to attempt to play contact sport again. He missed the entire 1976 season recovering and as a result was cut by the Blues, but he refused to accept that he would never play again. In 1977 he joined North Melbourne, and although Davis played only 10 games in two seasons it gave him confidence that he was still capable of performing at VFL level. In 1979 he joined Collingwood and it was here that Davis would enjoy the most successful period of his VFL career. He played 102 games at Victoria Park – including the losing 1979, 1980 and 1981 grand finals – kicked 251 goals and topped the Magpies goalkicking in his first two seasons, including a career-best of 88 goals in 1979. 1979 would also bring representative honours for Davis as he appeared for Tasmania at the State of Origin carnival in Perth. Davis retired from VFL football at the end of 1983, taking up the dual role of development coach and runner with the Sydney Swans. In 1988 aged 34 Davis sensationally came out of retirement at the suggestion of Sydney coach Tom Hafey – who was also Davis’ coach at Collingwood – to help fill the gap in attack that had been left by the departure of Warwick Capper to the Brisbane Bears. He started the season well, booting four goals in Round One before ending the year with 17 goals from nine games, after which he retired permanently. Post-football, Davis began a long and fruitful period as the CEO and General Manager of AFL NSW, a role he would perform outstandingly for nearly 20 years. Under his guidance Australian football’s credibility and competitiveness in the largely hostile NSW marketplace flourished, and a crowning career moment came in 2005 when the Sydney Swans broke their 72-year premiership drought in a match featuring Davis’s own son Nick.